Joanne is one of our dental hygienists and has been a part of the Elice Dental Care team for the last 13 years. Patients quickly feel comfortable as she fully reviews and documents a patient's medical background. Joanne performs periodontal assessments by probing and exploring areas of the patient's mouth. She performs clinical exams and cleanings and makes recommendations to patients based on the exam. 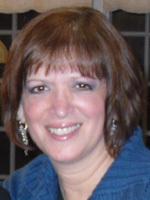 Joanne attended UMDNJ where she earned her degree in dental hygiene. She was awarded the Golden Scaler Award for her high academic performance. Joanne stays current by attending continuing education classes focusing on the latest in maintaining patient's teeth and gums. Recently Joanne, was one of only a few hygienists in New Jersey who completed a 3 month course at Jersey Shore Medical Center to become certified in administering local anesthetic. Elyse has been a dedicated and trusted Dental Hygienist in our practice for the last 15 years. She is highly skilled, caring, gentle and sincere. Her patient's needs and comfort always come first. Elyse will review the medical history and will perform comprehensive dental and periodontal exams to assess overall dental health. She will provide gentle dental cleanings and advanced gum therapy as needed. She also takes digital x-rays, applies sealants and fluoride. 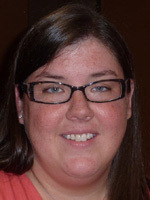 Elyse attended NYCTC where she earned an AAS degree in Dental Hygiene. She later went on to receive a Bachelor's Degree in Science and Technology from Thomas Edison University. Elyse has taken advanced courses in periodontal therapy at Albert Einstein College of Medicine, The University of Pennsylvania, and at the Jersey Coast Dental Forum. 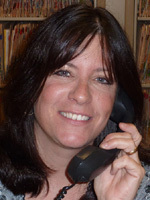 She is a past recording secretary for the Central NJ Dental Hygienist's Association. 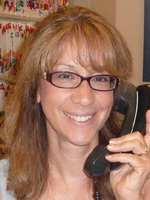 Maria is one of our dental assistants and has been a part of the Elice Dental Care team for the last 19 years. Her friendly chair side manner will help allay any apprehension during dental procedures. 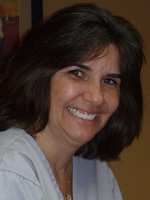 Maria assists Dr. Elice with instruments, xrays and is a field expert at taking impressions. Maria is a seasoned Cerec technician, enabling our patients to receive a crown in only one visit. Jaclyn is a seasoned CEREC technician, enabling our patients to receive a crown in only 1 visit. Jaclyn is one of our dental assistants and has been a part of the Elice Dental Care team for the last 10 years. Jaclyn assists the doctors and ensures the appointment runs smoothly. Jaclyn also assists Dr. Elice with instruments, xrays and is a field expert at taking impressions. 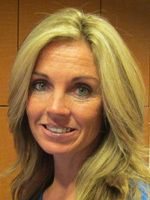 She also helps the hygienists by documenting a patient's periodontal condition as the hygienist is conducting the exam. Beth is one of our dental assistants and has been a part of the Elice Dental Care team for the last 5 years. She prides herself on her knowledge of our state of the art digital x-ray equipment, and strives to make the procedure as comfortable as possible. Beth assists both the doctors and hygienists during a patient's appointment. Kathy has been on our team for the last 9 years. She is dedicated in managing all aspects of dental administration as efficiently as possible. She consistently provides outstanding service to patients and their families, whether it be through scheduling an appointment, or filing insurance. Kristi has been on our team for the last 7 years. She will greet you on the phone and welcome you as you enter the office. She takes care of scheduling your appointments and keeps close tabs on the office to make sure everything is running smoothly.